Abbas Akhavan’s practice ranges from site-specific ephemeral installations to drawing, sculpture, video, and performance. The domestic sphere, as a forked space between hospitality and hostility, has been an ongoing area of research. Earlier works have explored the relationship between the house and nation state and how the trauma and systemic violence enacted upon civilians can be inherited and re-enacted within the family. More recent works have wandered into spaces just outside the home – the backyard, the garden, and other domesticated landscapes. His research is deeply influenced by the specificity of the sites where he works: the architectures that houses them, the economies that surround them, and the people that frequent them. Comprising a series of sculptures, video and photographic works, variations on a garden, curated by Georgina Jackson, is Akhavan’s first solo exhibition in Ireland. In the central space of the upstairs galleries an enlarged fountain sits with the intermittent sound of small drops of falling water. The sculptural installation study for a monument (2013-2016) presents a series of bronze plants laid out on white cotton bed sheets across the downstairs gallery floor. These are the forms of Asperula insignis, Delphinium micranthum and Ornithogalum iraqense, amongst many others, native and endemic species from the area in and around the rivers Tigris and Euphrates, in present-day Iraq. Eighty kilometres south of Baghdad, it is the same area where the legendary Hanging Gardens of Babylon were presumed to be built, and includes the salt marshes which were destroyed by Saddam Hussein in the 1990s in his campaign against the Marsh Arabs, and subsequently ravaged by the Iraq wars. Working with images from the ‘The Flora of Iraq’ (1) archive at the Royal Botanic Gardens, Kew, in London, and the Royal Botanic Gardens, Edinburgh, Akhavan has enlarged the plant species to monument scale. They have been sculpted into plasticine, cast into wax, encased within plaster, melted, cast into bronze, and then charred. Reminiscent of flora at the base of a monument, the bronze plants look like artillery fragments and shrapnel. Their scale is close to a human body, flowers like human heads, stems like spines, and broken parts taking on the appearance of shards of human bone. Akhavan employs bronze as a material that is steeped in history: it connects the invention of human tools and language with the fabrication of weapons and the erection of monuments. These forms are presented as an archive, a forensic experiment or funerary monument on the gallery floor. The remnants of the material processes remain: shattered plaster invades the anatomy of the plants, creating a kind of ghosting against the white cotton sheets. study for a monument is an act of occupation and commemoration within the white cube, the physical haunting of the acts of war. The plant pressings contained within an archive are enlarged and given volume; they hold space. In the lower gallery, the film installation, Ghost (2013), presents excerpted footage of returning US army troops to their families fades from image to white. Screams of joy are heard, but the spectre of trauma and the invasion of space remains. A series of dark framed images are revealed to be the backs of mirrors, the image facing its reflection is undisclosed. A passport sized photographic image of a young Iraqi who presents himself twice in and after and after (2003/2008), once with ink on one finger to denote the act of voting in democratic elections, and the other with all fingers inked marking admission into police records and border controls. The garden lingers as both a symbolic site of labour and leisure, private and public, nature and humanity, but furthermore, as a site of sovereignty and war. 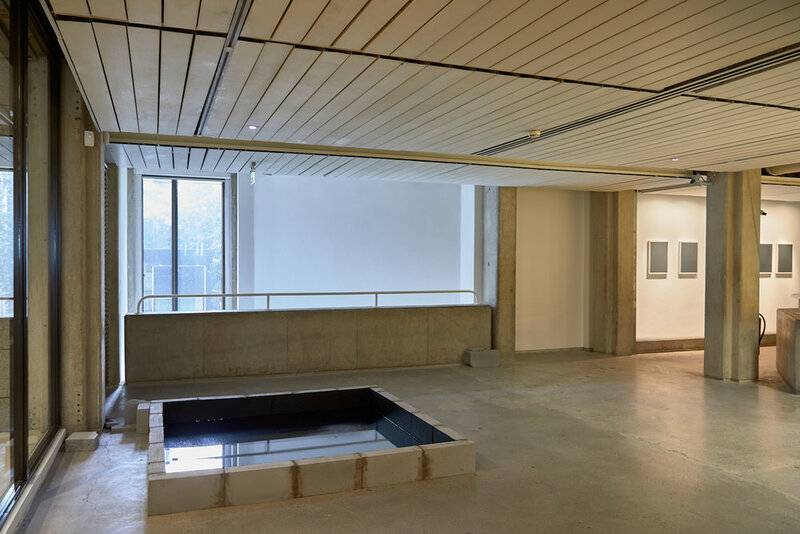 Curated by Georgina Jackson, Abbas Akhavan’s variations on a garden was originally commissioned by Mercer Union, a centre for contemporary art, in Toronto in 2015. The Douglas Hyde Gallery would like to thank Abbas Akhavan for his enthusiasm and support. We would like to thank the Abraaj Group Art Prize and the Family Servais Collection for the loans of study for a monument (2013–16). variations on a garden is supported by the Canada Council for the Arts. Abbas Akhavan (b. Tehran, lives in Toronto) earned a BFA from Concordia University (2004) and an MFA from the University of British Columbia (2006). Akhavan has had solo exhibitions in spaces including Villa Stuck in Munich; The Delfina Foundation, in London; Mercer Union, a centre for contemporary art, in Toronto; and FLORA, in Bogota. He has participated in group exhibitions at KW Institute for Contemporary Art, Berlin; Beirut Art Centre, Beirut; the Solomon R. Guggenheim Museum in New York, and the Wellcome Collection, London. In the coming year Akhavan has solo shows at Protocinema in Istanbul, and the Power Plant in Toronto, as well as participating in the Liverpool Biennial. He is the recipient of Kunstpreis Berlin (2012), The Abraaj Group Art Prize (2014), the Sobey Art Award (2015), and the Fellbach Triennial Award (2016). He was the artist-in-residence at the Alexander Calder Foundation in France from January until April 2017. To coincide with this solo exhibition there is a programme of talks, readings, events and film screenings developed in collaboration with the artist. 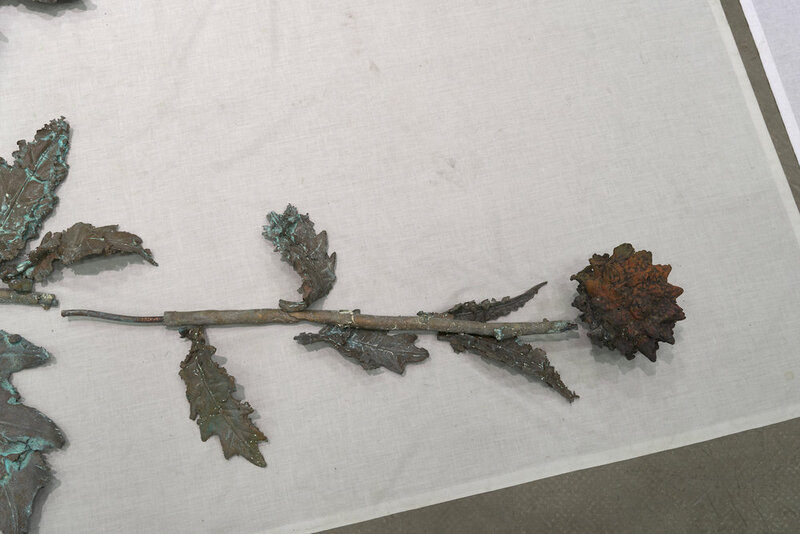 Image: Abbas Akhavan, Study for a Hanging Garden (2014) cast bronze, white cotton sheets, dimensions variable. Commissioned by the Abraaj Group Art Prize, 2014. Image courtesy of the Abraaj Group Art Prize, photography by Toni Hafkenscheid.